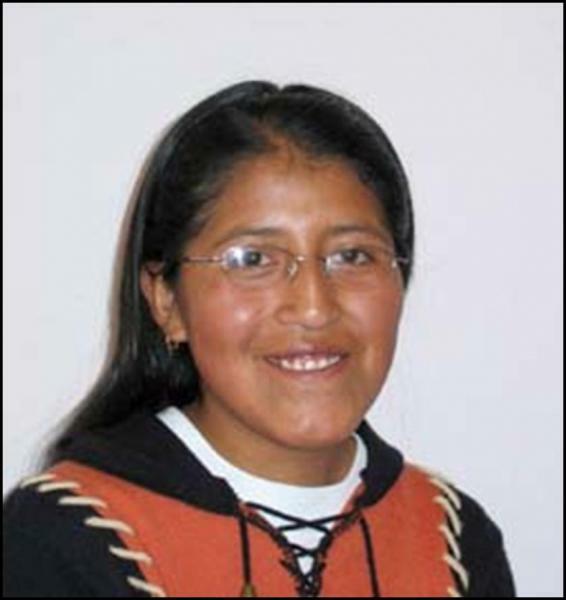 Beatriz graduated in August 2008 with a degree in Systems Engineering from the Salesian University of Bolivia. I chose this study because I really wanted to understand technology and programs...My dream was to have a profession, now I’m achieving that with the BQE. Now that I’m managing that, I hope to continue improving my knowledge and working in the church and in my profession. When I was young, three years old to be exact, my father was a missionary in Peru for five years. In 1995 my mother died. I have four older sisters, I’m the baby, and all of them are married." Born in La Paz city, Beatrice lives with her father in Santa Rosa Grande, in northern La Paz. Her father drives a public minibus (taxi). Beatriz helps with the Children’s Ministry in her INELA church, Nueve Esperanza (New Hope). Submitted by Vickey on Mon, 09/29/2008 - 19:13.